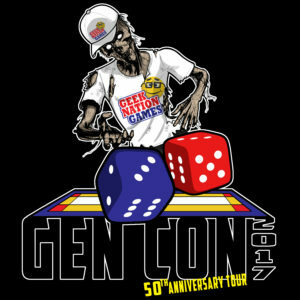 Gen Con is one of the biggest gaming conventions in the whole world. It can easily overwhelm anyone that goes in unprepared. If you want to be prepared and then some, perhaps check out the Geek Nation Tours package for the show. It's filled with great, exclusive opportunities during the event. Booking is happening now. Geek Nation Tours is headed back to one of the largest and most prestigious gaming conventions in the world. That’s right – we are headed to Gen Con Indianapolis 2017! Gen Con has a long history of offering the very best in gaming conventions. Dive into every type of gaming imaginable – roleplaying games, card games, boardgames, tabletop games and computer games, just to mention just a few. They have even had Geek Speed Dating and a marathon…. Game to your heart’s content with old friends and the new ones you will meet. Want to do some shopping or see what’s new in the gaming world? Are you interested in finding out about all the upcoming releases for the next year? Perhaps you would like to mingle with celebrities from the gaming world and see what they are working on. Maybe you want to pit your gaming skills against the best in the world or perhaps try out a few games that you have always wondered about. Gen Con is the best place in the world to do all these things. There will also be plenty of time to get some photos with cool Cosplay people or even wear a costume yourself!